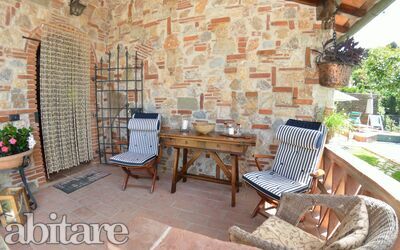 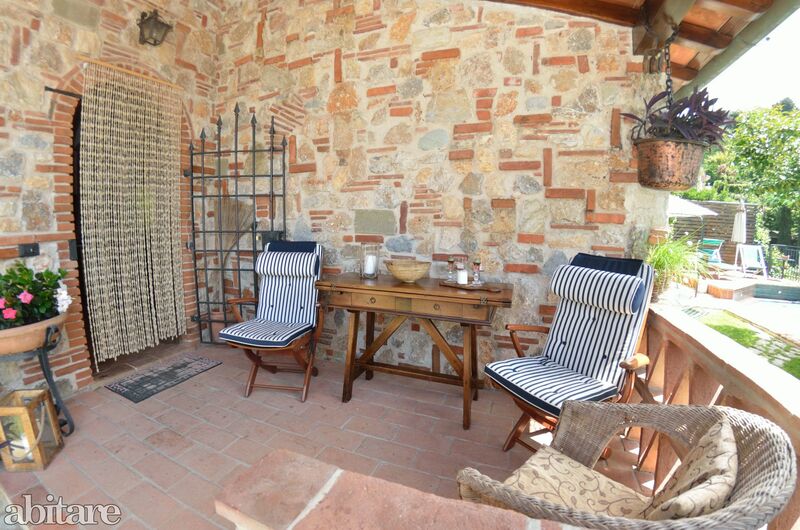 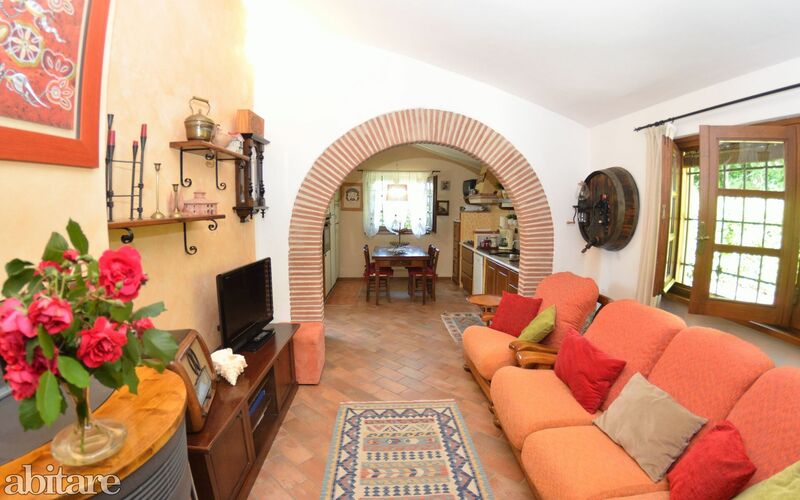 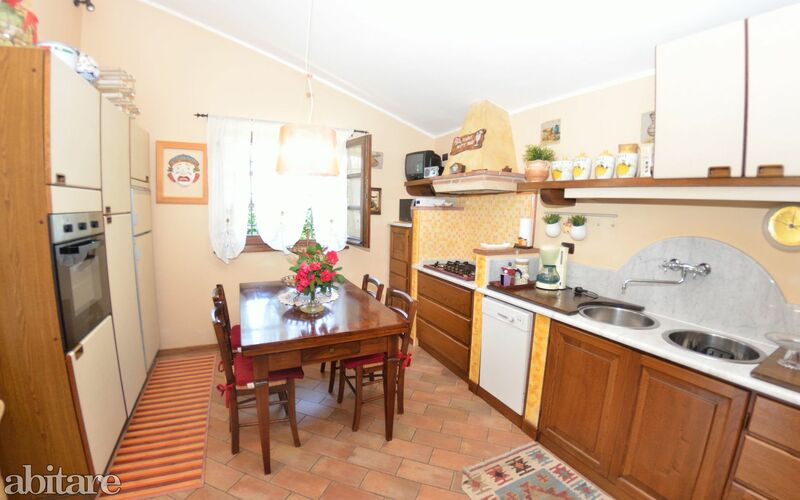 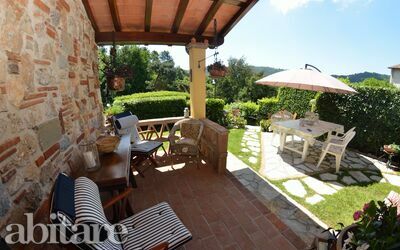 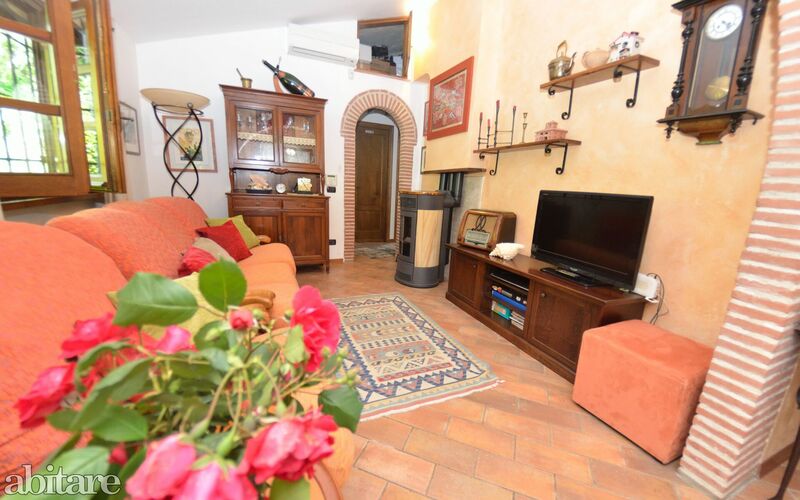 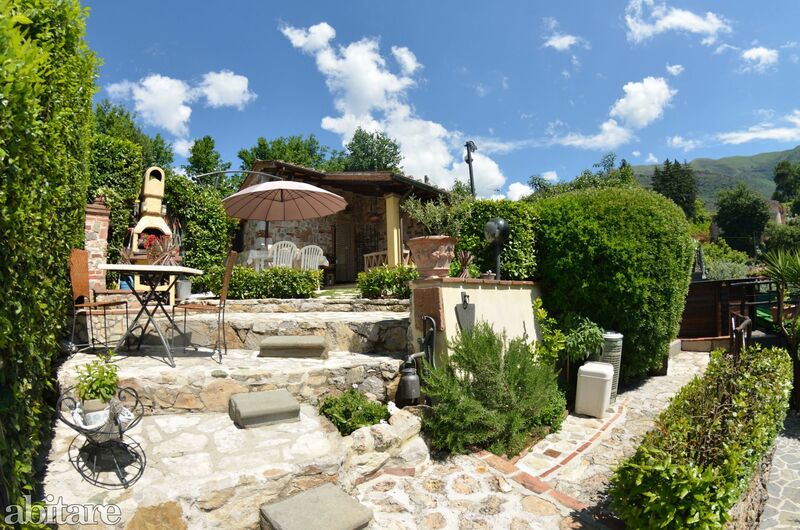 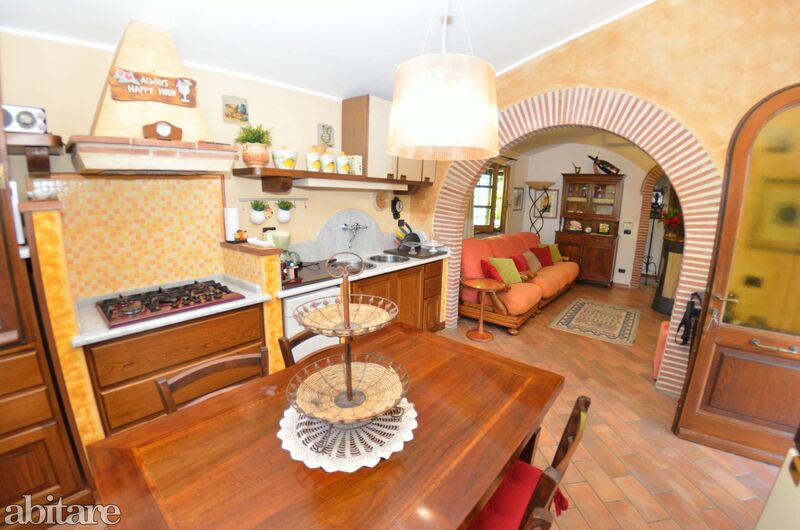 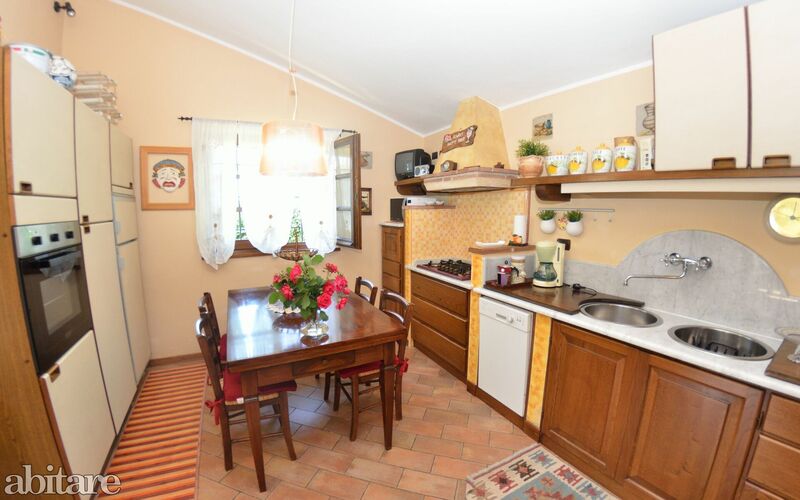 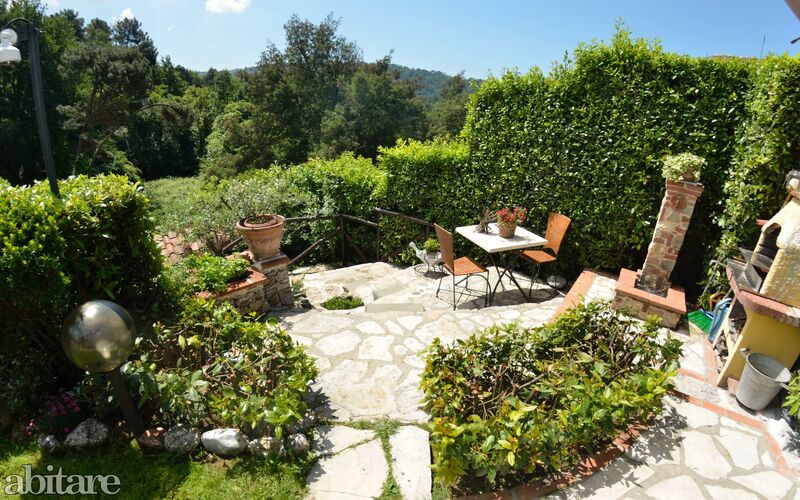 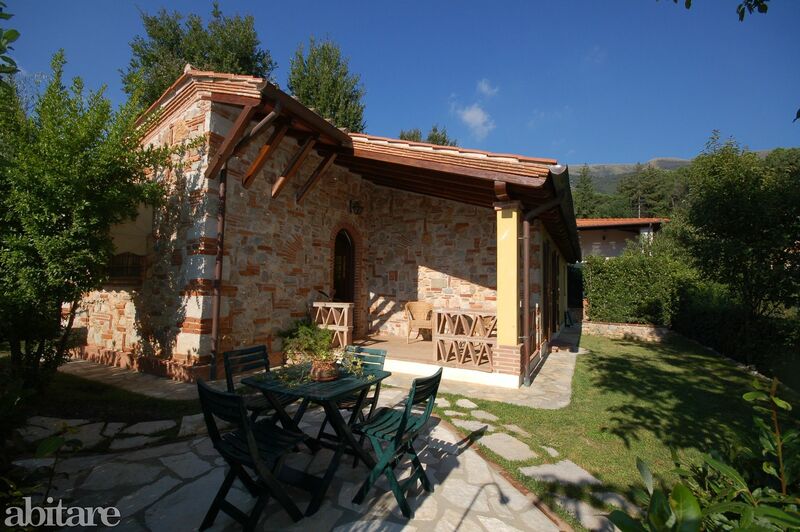 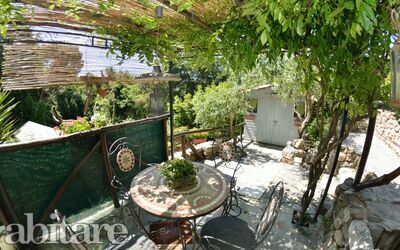 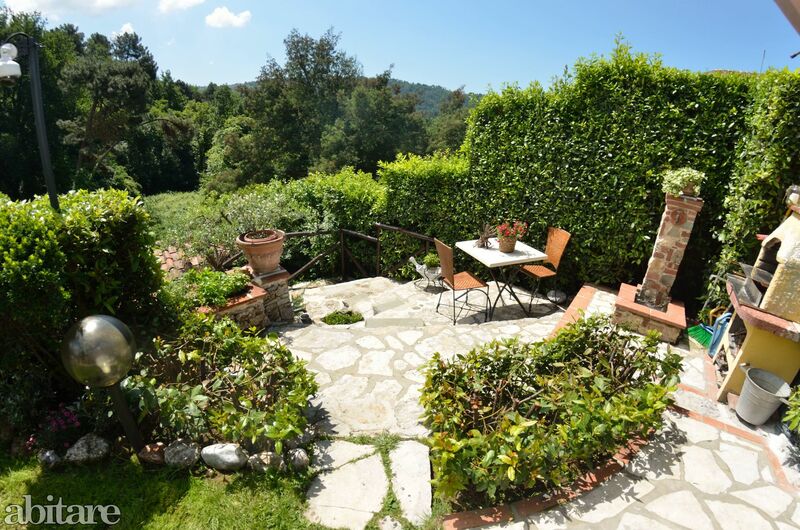 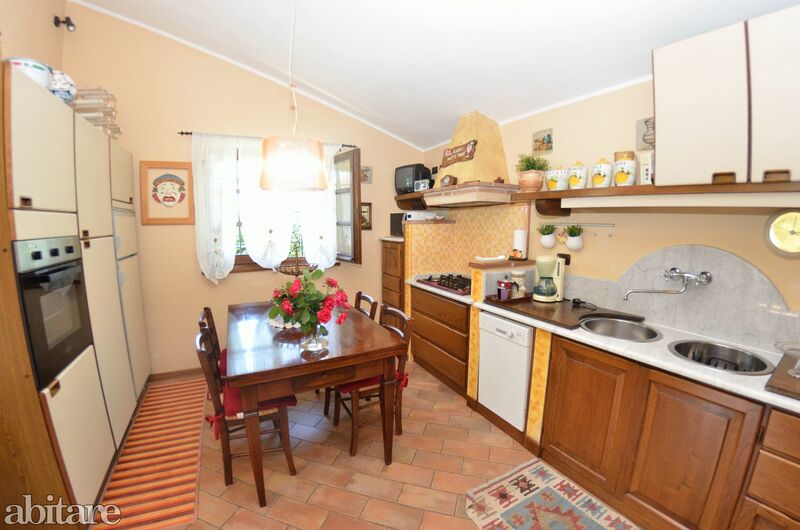 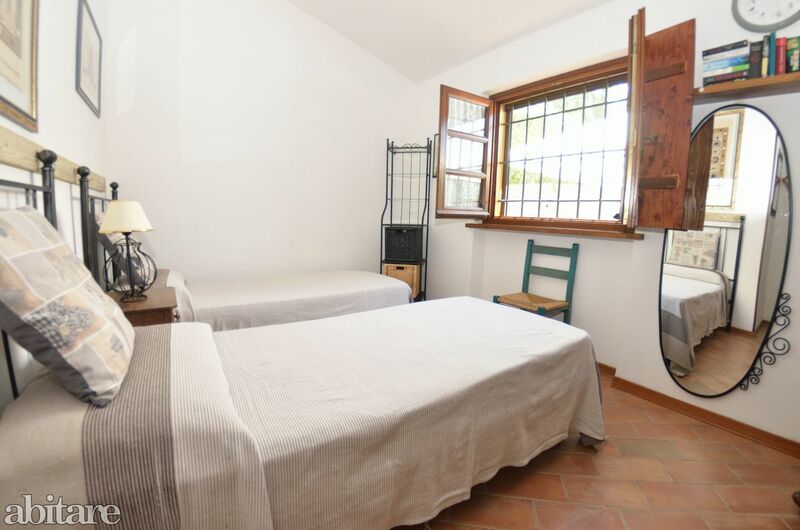 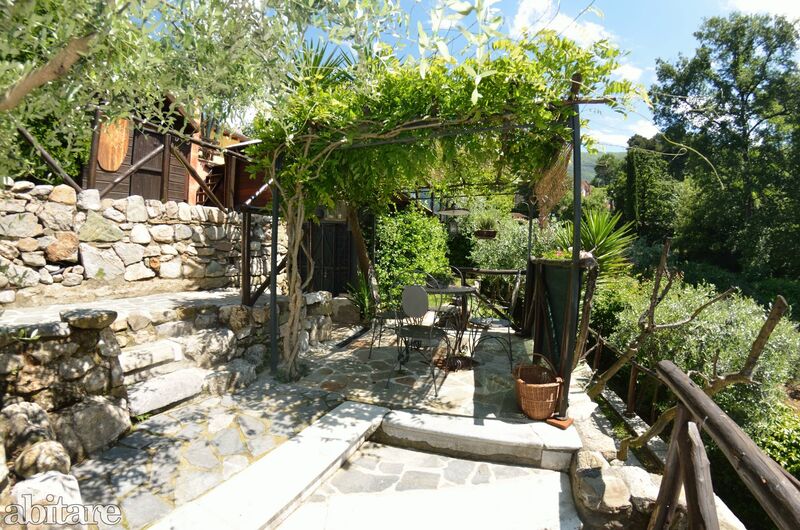 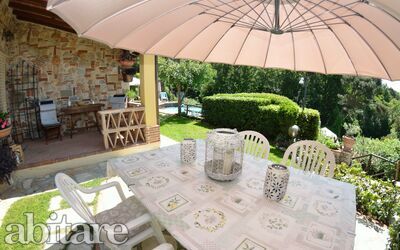 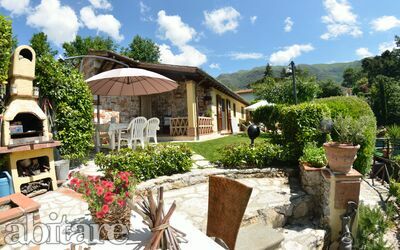 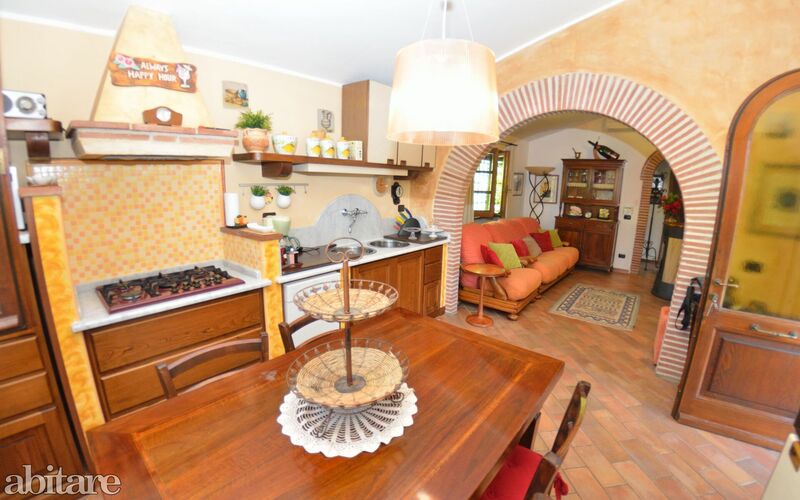 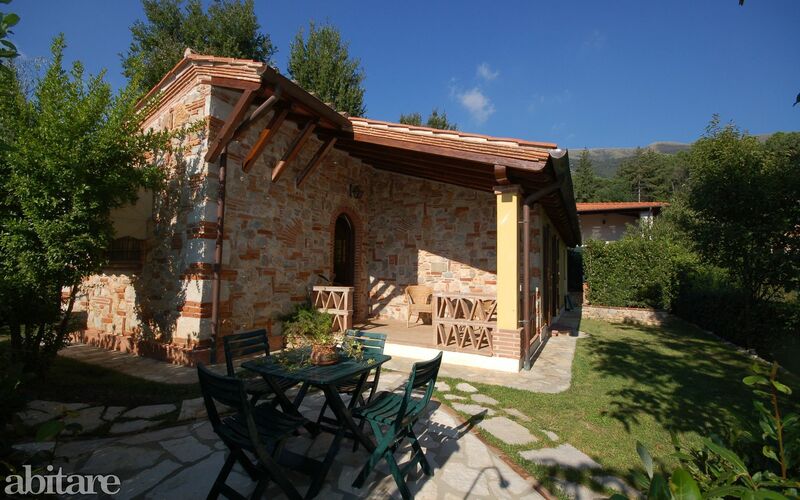 This stone cottage, renovated with great care, is located on the hills of Pieve di Camaiore in a quiet and sunny position, nestled among gentle sloping hills covered by silver olive trees. 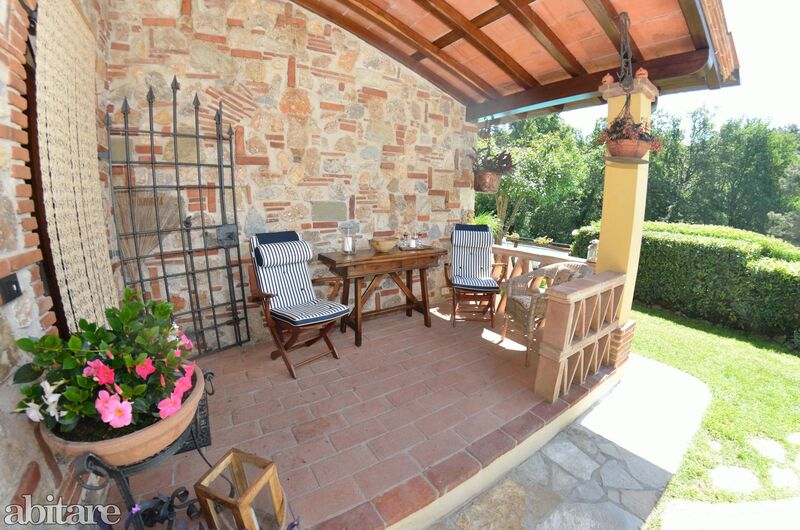 The garden with outdoor sitting areas furnished with table, chairs and barbecue is perfect for al fresco dining. 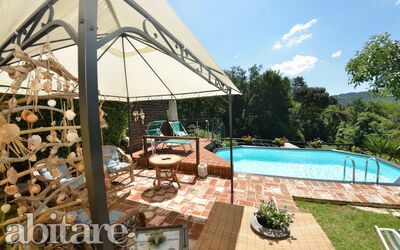 Guests have a beautiful, private swimming pool (partly in-ground 3.80 x 7 m, depth: 1.20 m) equipped with sun lounges. 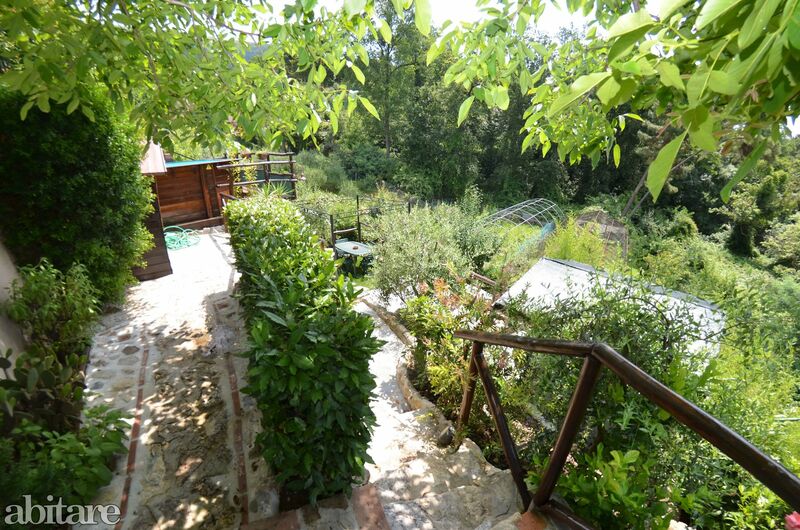 The last part of the access road is narrow and winding, though the road is asphalted. 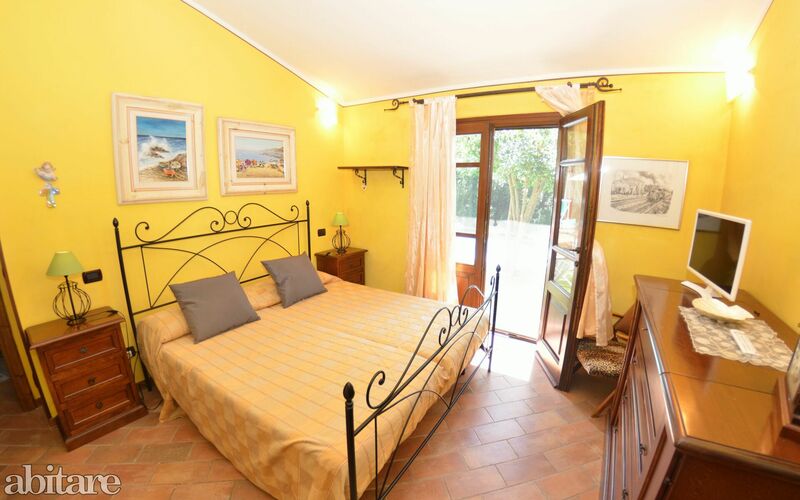 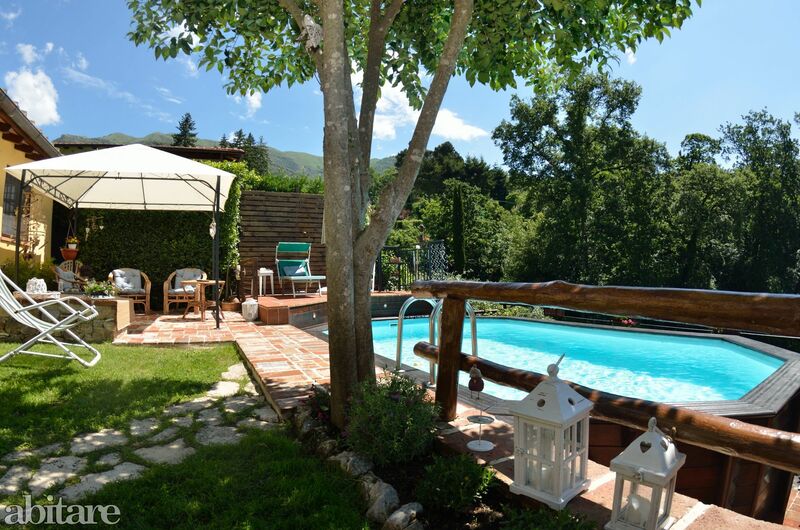 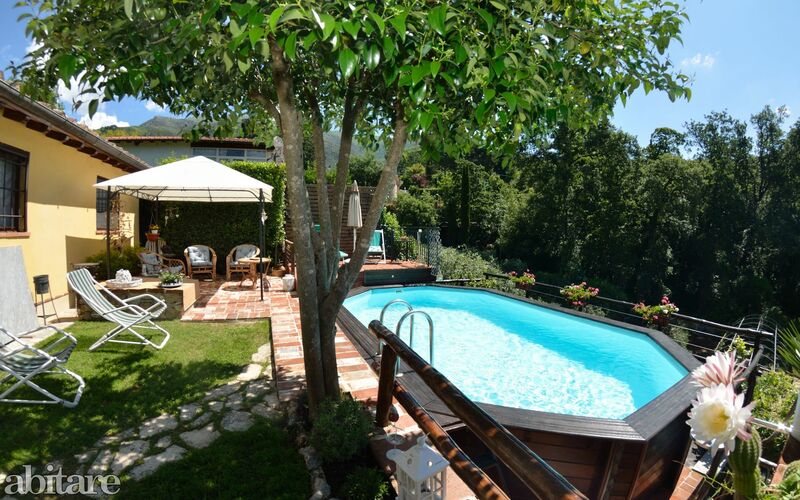 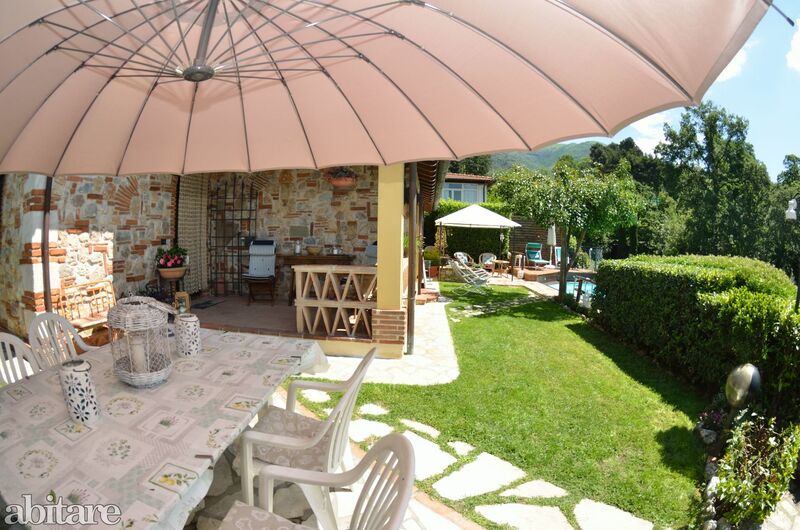 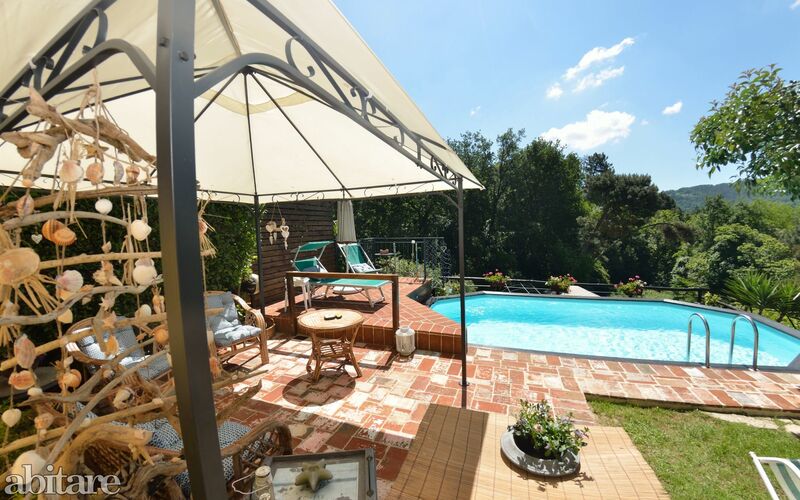 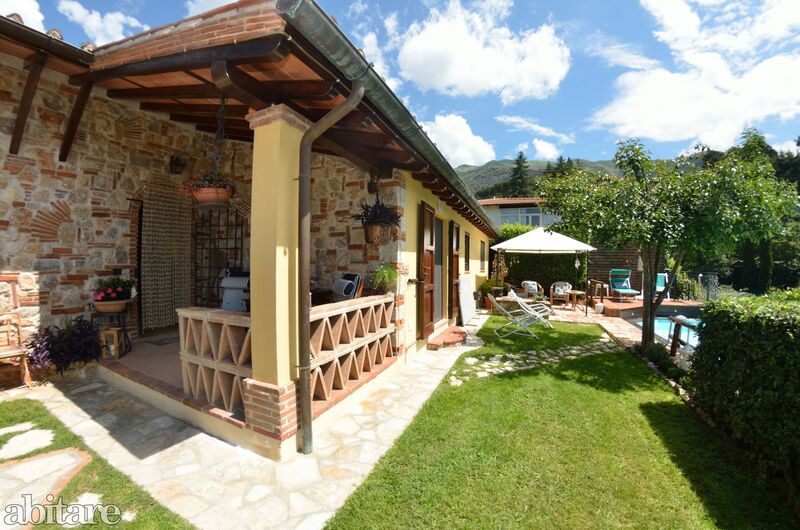 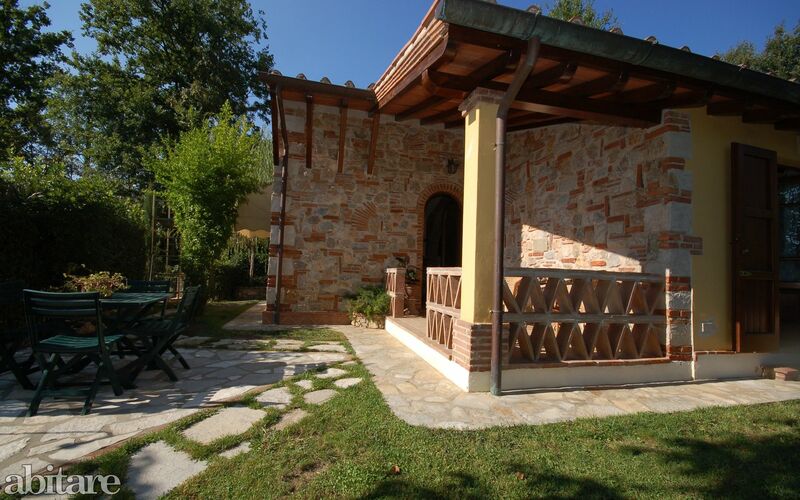 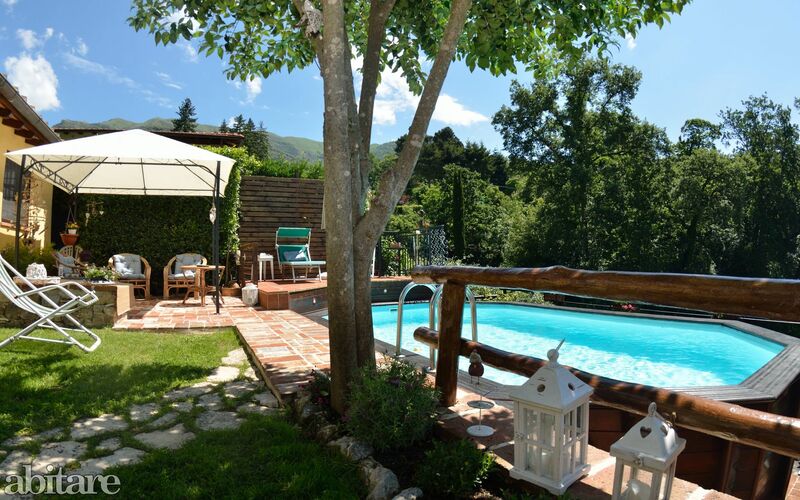 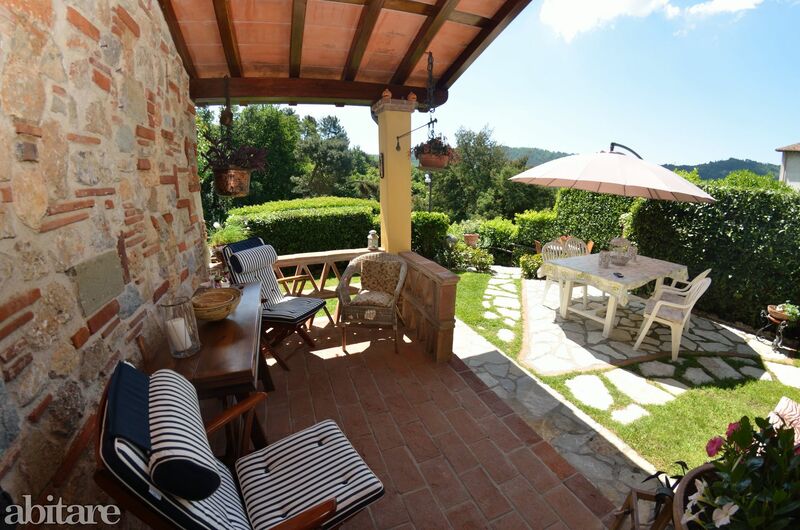 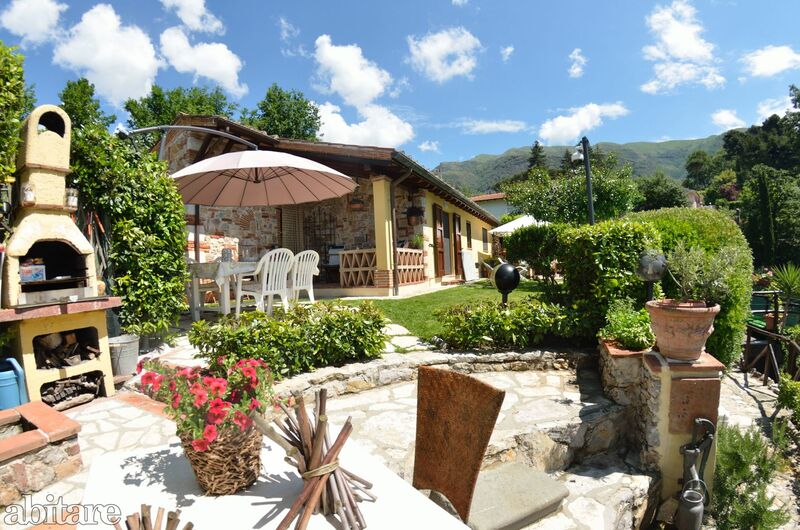 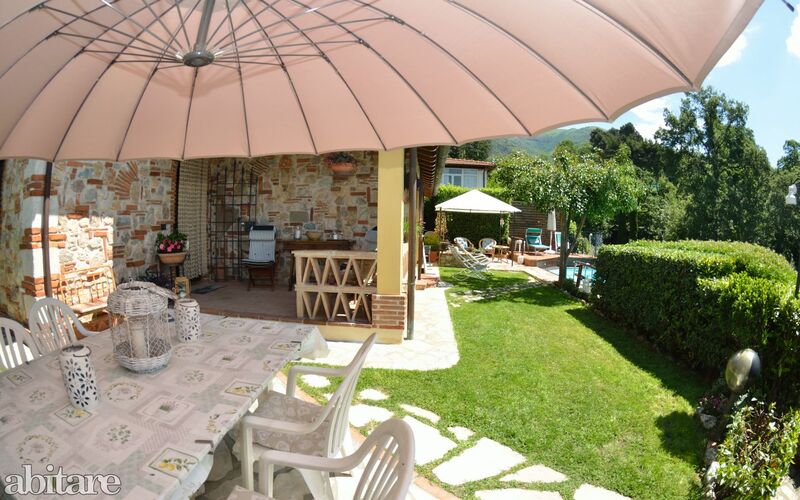 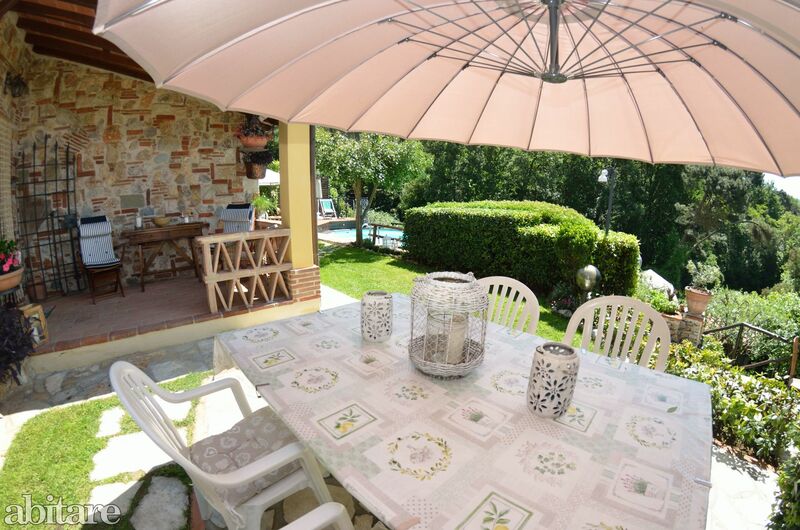 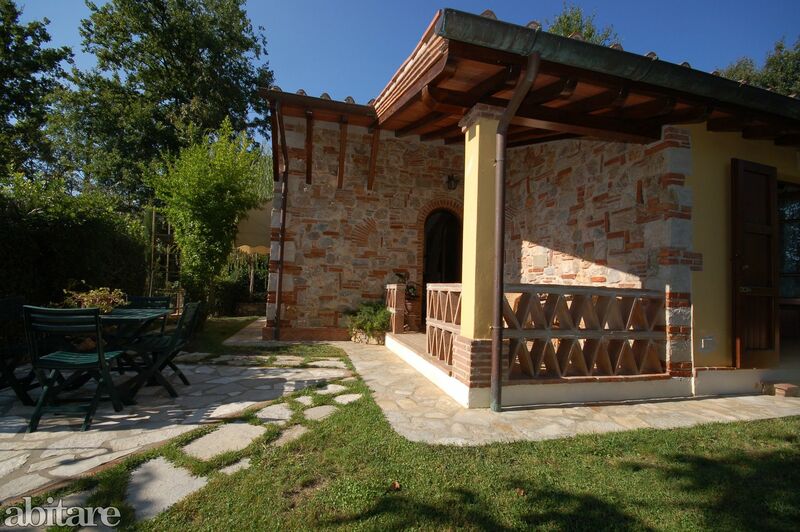 you will have the advantage of living on the countryside where you may leisurely chill out in the sun or taking lovely walks while having the long, white beaches of the Versilia and the famous Tuscan towns (Lucca, Pisa, Firenze and Siena) all easily accessible from the house. 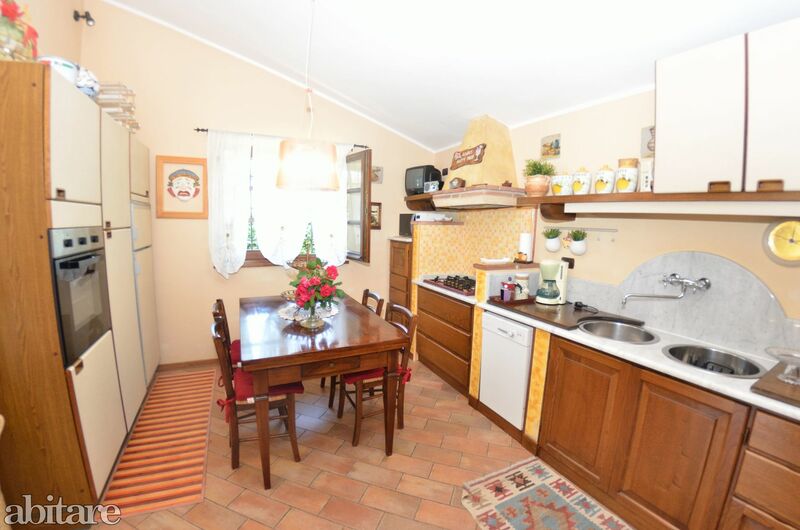 Entrance on the ground floor: kitchen with dining table, stove/oven, fridge/freezer, dish washer, mikrowave, American coffee machine, toaster, window with mosquito net. 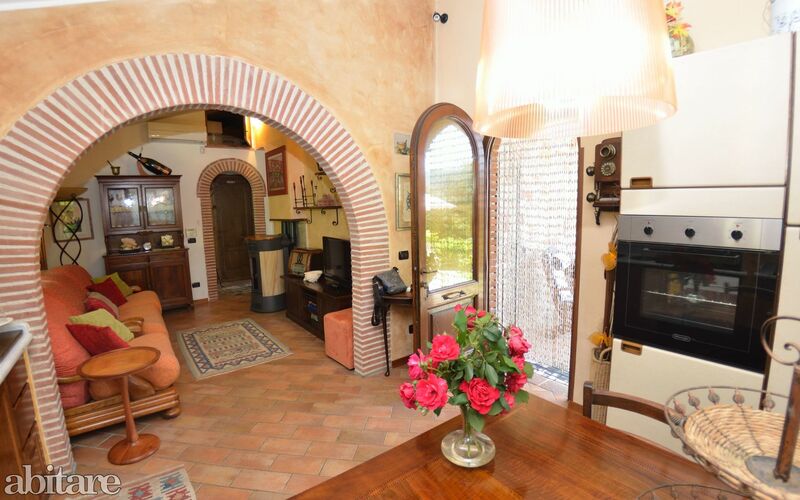 Living room with oven, sofa, arm chairs. 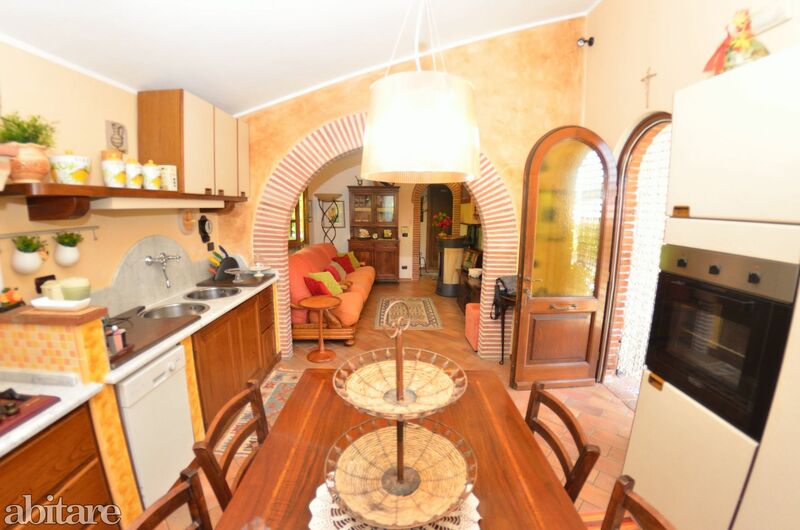 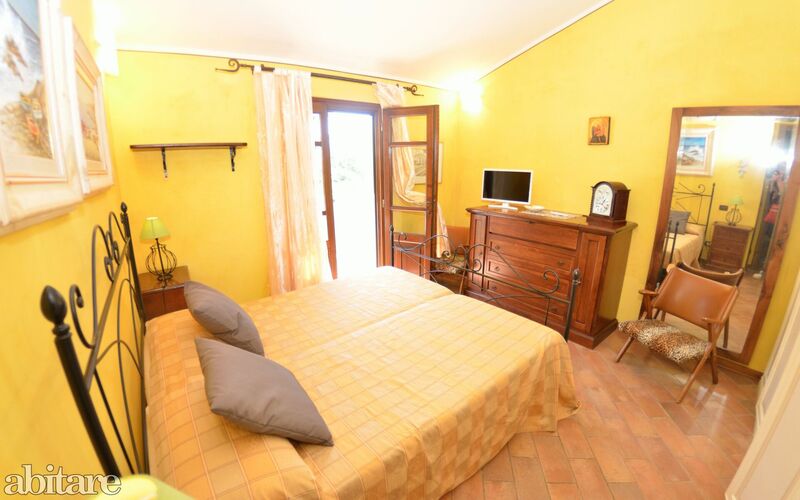 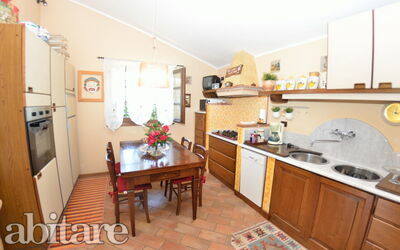 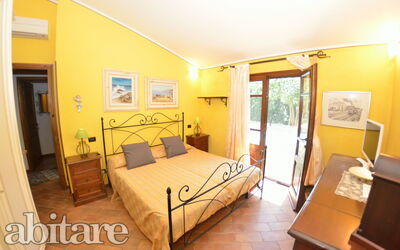 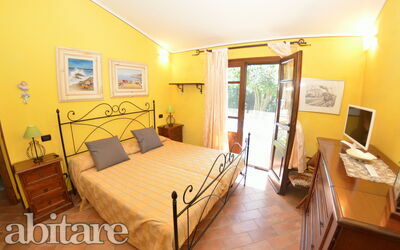 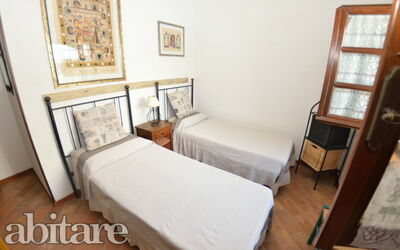 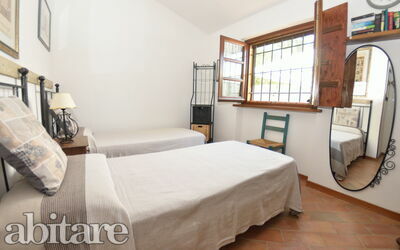 An arch leads to the bedrooms: 1 double bedroom with exit onto the garden, 1 twin bedroom. 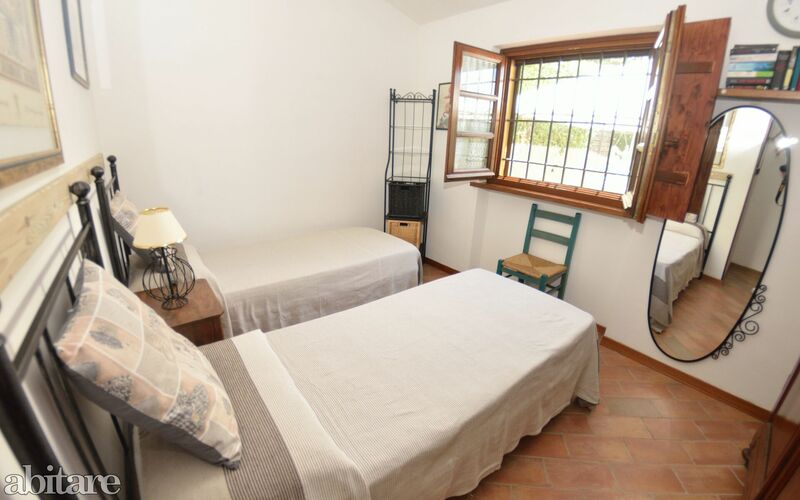 In all the bedrooms the windows have mosquito nets. 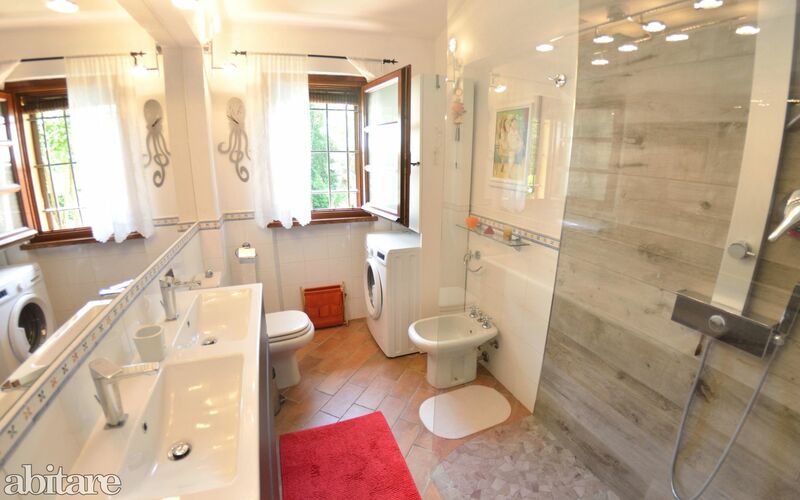 1 bathroom with shower, WC and bidet. A small covered veranda with table and 2 armchairs. 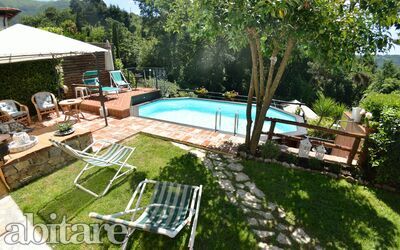 Access to the pool area within a couple of stairs, wood house with utility room and washing machine and sink, out door shower. 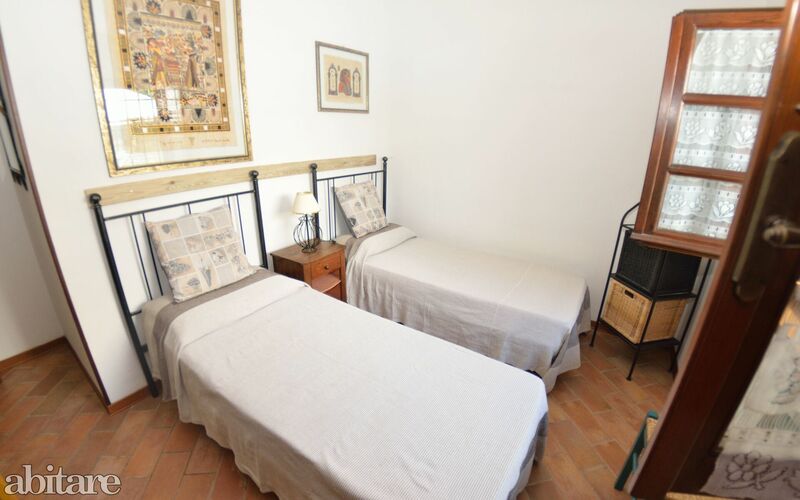 The house has been renovated with great care by the owners and decorated with terracotta tiled floor and pastel coloured walls. The result is an attractive holiday home and an oasis of peace. 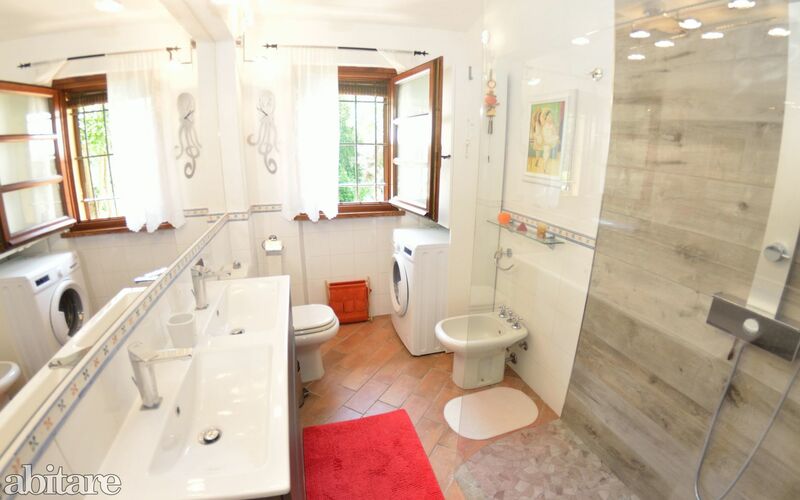 Ein liebevoll eingerichtetes Haus, inmitten Wild-Romantischer Atmosphäre. 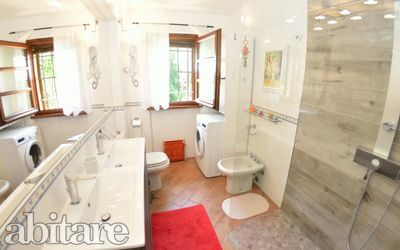 Am liebsten würden wir gar nicht abreisen. 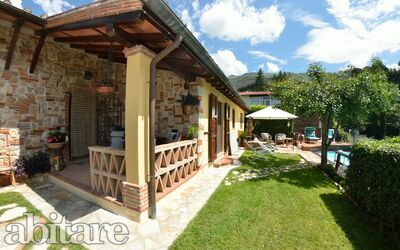 Thank you very much for the beautiful stay! The house is a dream! We love just to sit in the garden, enjoying the romantic atmosphere. Thank you also very much for your helpfulness and for your warm welcome. Thank you for a very enjoyable stay. 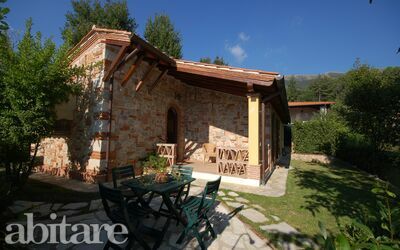 Beautiful surroundings and beautiful house. 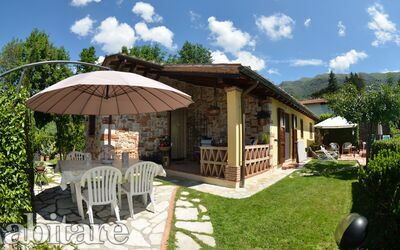 We visited Camaiore, Lucca and Viareggio. 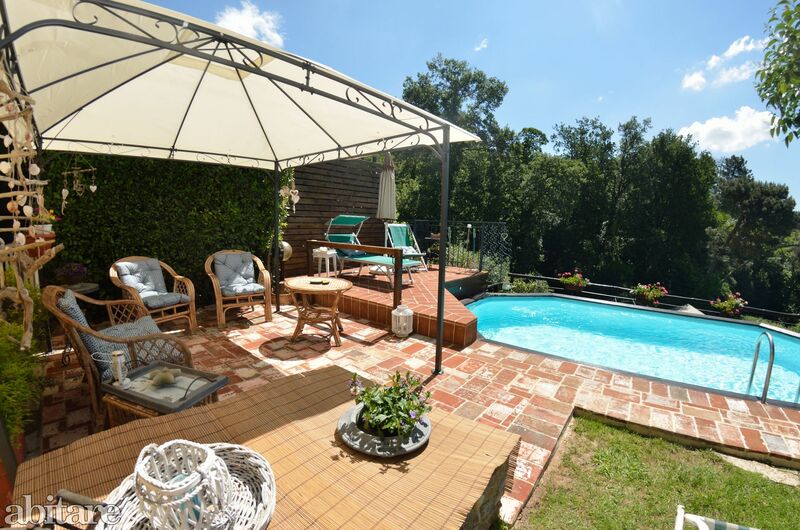 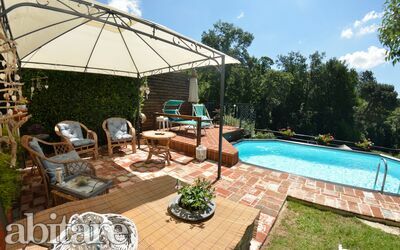 We loved the pool and the garden, it is the perfect place to seat, relax and read a book!